Figure 1a and b. 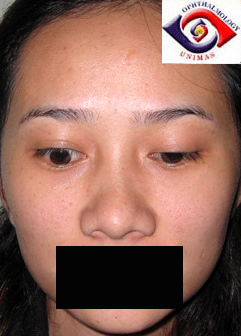 Right eyelid retraction with lid lag due to Grave's disease. a. 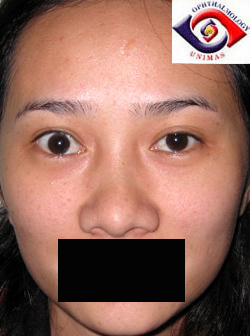 How may the right upper eyelid be lowered? b. Suggest a non-invasive way of improving her appearance for photo-shot.